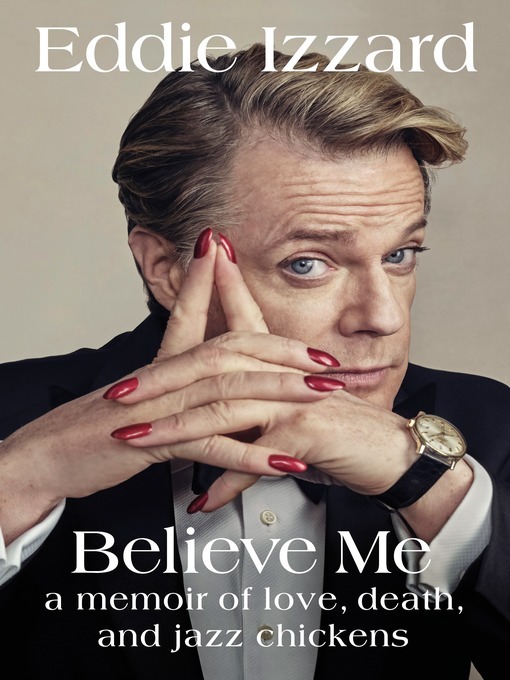 "Izzard is one of the funniest people alive, a talented actor, a sharp cross-dresser, an experienced marathon runner, and a great writer. You will have to read this if only to find out what a jazz chicken is." With his brand of keenly intelligent humor that ranges from world history to historical politics, sexual politics, mad ancient kings, and chickens with guns, Eddie Izzard has built an extraordinary fan base that transcends age, gender, and race. Writing with the same candor and insight evident in his comedy, he reflects on a childhood marked by the loss of his mother, boarding school, and alternative sexuality, as well as a life in comedy, film, politics, running and philanthropy. Honest and generous, Believe Me is an inspired account of a very singular life thus far.